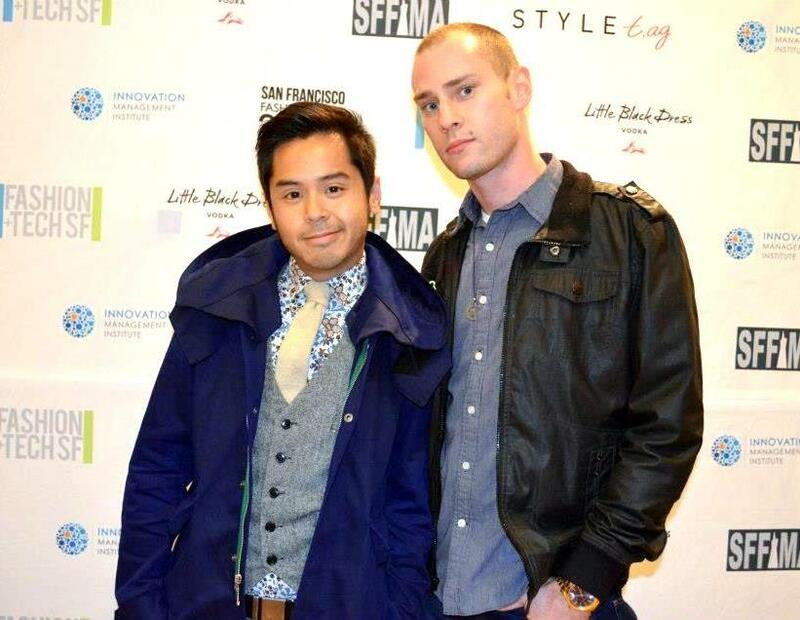 Cody and I at last nights SF Fashion week's Dapperhood men's styling event at R State in downtown. Fall's officially here. 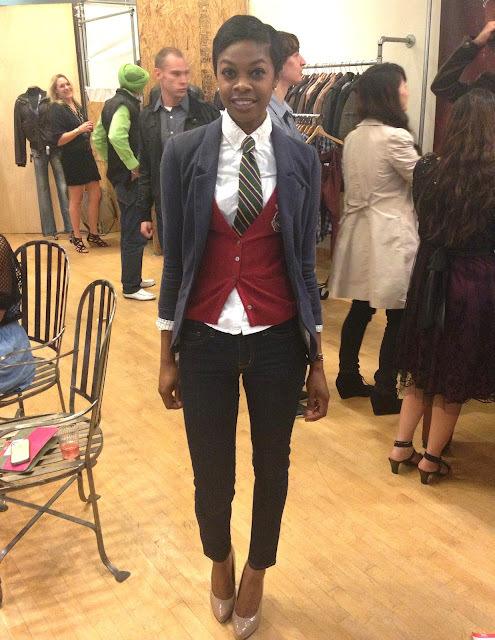 (Photos curtesy of Dapperhood.com) Even though summer is my season of choice, I'm actually pretty excited fall is here. That means layering, thicker textiles, and an excuse for me to purchase more coats. Pulled out my Opening Ceremony jacket I got during my last excursion to Los Angeles. 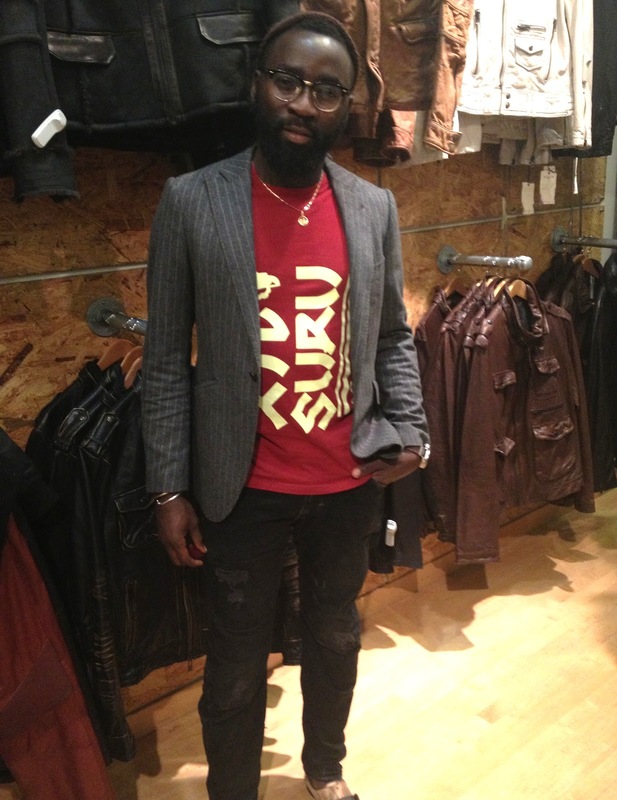 Baba Atolabi of Suru Clothing, wearing his label's own. 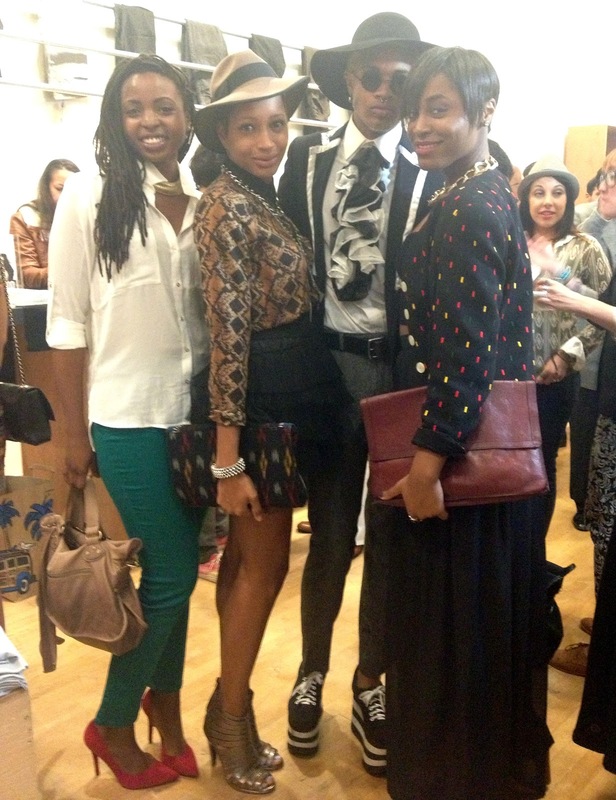 "Promotion of multiculturalism through fashion"... Great concept. They're based out in Oakland, check out their line for mens and women wear! Cody was asked randomly to be styled by the Bellwether Brothers during the night, along with a couple of the other men that were there. 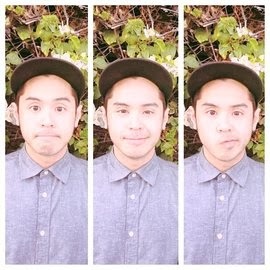 Handsome guy :). 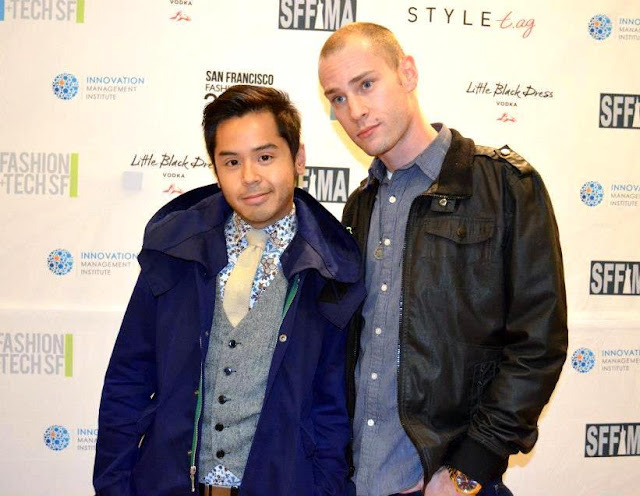 Dario Smith of The Bellwether Project chose this distressed leather jacket for Cody, which I actually really liked on him. I have a thing for oversized collared coats, I.E. my own that I wore last night. 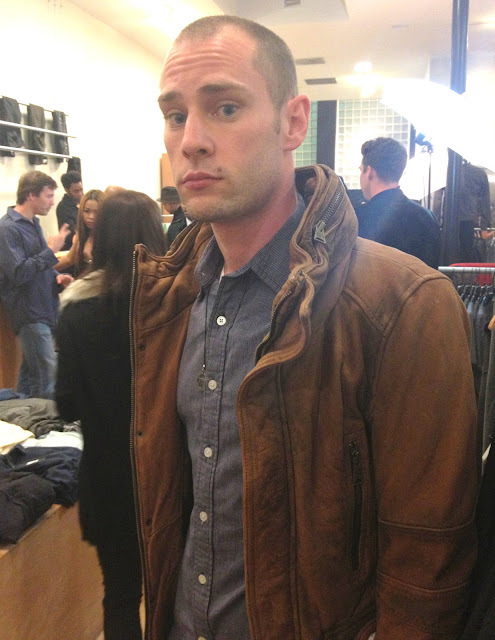 Cody along with the other men styled. Be sure to check out R State's boutique located downtown on Grant and Sutter along with Dario Smith and Dante Wright of the Bellwether Project for styling sessions. I'll be attending a couple of the runway shows this weekend, including one on Sunday with Christine Kaurdashian... Look out! Nice blog *^* If you want check out my blog, and follow me, I'll follow you back! Great blog Kim! :) Thank you for your comment.